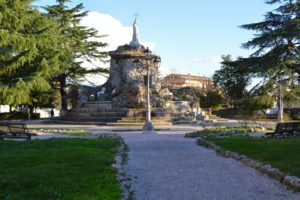 Cisterna di Latina, a city of app.35,000 and curiously with no movie theatre at all. But since 2015 with an International Short Film Festival. Cisterna’s history covers a great variety of cinema genres. 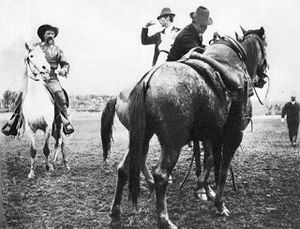 Home of the butteri, it’s precisely to one of them – Augusto Imperiali – that is attributed the defeat of Buffalo Bill during his cowboy rodeo show in 1890, reminding scenes of a Western film, Hollywood genre by excellence. The many devastating destructions suffered in many centuries, being the last tragic one during II World War, will make us think about war films or disaster movies. From Cisterna started the population of the pontina area which was an inhabited swamp, inspiring neorealism cinema. Caetani Palace built in the 500 era, has hosted important guests: popes, cardinals, and princes from all Europe, inspiring a great amount of historical films. Today plays a vital role in the cultural field of the city and is hosting the Festival. 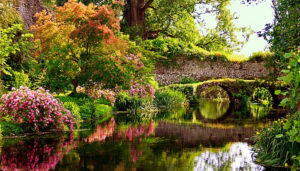 Finally we have the Ninfa Gardens – a splendid potential location – being one of the most attractive and fascinating botanical gardens of Europe with 70,000 visitors last year. As mentioned before Cisterna doesn’t have a movie theatre, so in order to overcome this situation this event is celebrated here. Cristian Scardigno, native from Cisterna, is the artistic director of the festival. Film director and screenwriter, after three short films directed his first feature, “Amoreodio” (Lovehate). But above all, the Festival means Organization and need to talk to the people. Great relevance in this role is played by the Associazione Mobilitazioni Artistiche, presided by Marianna Cozzuto, active in the province of Latina since 2011. Mobilitazioni Artistiche promotes road theatre shows, contemporary art, performers in the province area, having always in high esteem its creative, intelectual value. From now on Mobilitazioni Artistiche is also considered Cinema. 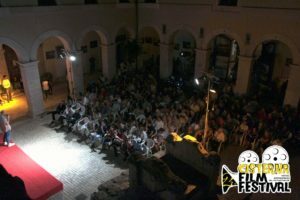 In the first two editions, Cisterna Film Festival brought significant numbers. In 2015: 3500 subscribers from about 80 countries worldwide, 24 films selected for the competition, 5 screened in the video-art section. 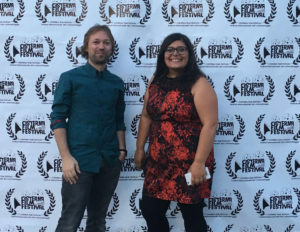 It was the year of animated films, with the Jury Prize awarded to the French short film “Premier Automne” by Carlos De Carvalho and the Audience Award given to Spanish “Cuerdas” by Pedro Solís García. The following year the number of short-films has gone beyond the limit of 4000, with 124 countries involved in the festival. In the official competition took part 21 short films, 6 video-art works and 6 films in the new section dedicated to teenagers, Next Generation. Last year absolute winner (with both Jury and Audience support) was the Canadian documentary “My enemy, my brother” by Ann Shin. Important to record is the growing participation of the public, which in both years has filled the historic Palazzo Caetani, venue of the event, crossing the threshold of 600 total units during the screening evenings.